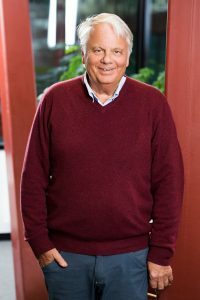 Thore Berntsson has been involved in the IETS TCP as Chair during the years 2005 to 2009 and again since 2013. What he considers the most rewarding, working in this collaboration is the networking with all high-level groups in member countries and with IETS delegates, as well as knowledge-sharing between countries and experts. Working in the probably broadest of all TCP:s has meant that he has been able to help developing the important understanding of interplay between technologies, system consequences and climate aspects in industrial systems. Closing the books on 2018, what was most important? The broadening with groups also from non-IETS countries in the form five new sponsors from Italy, Ireland, Colombia and Japan. The very active participation from our new member countries. The initiation of two new annexes, one focusing on electrification in industry and one on digitalization and related technologies as well as the new task on decision support tools in Annex XI. The exciting work within the IETS TCP will continue also during 2019. New projects, which have been prepared for some time, will start, discussions with interested countries/organisations not yet involved in the IETS work will continue – as will the dissemination of results from all ongoing activities. One very important event is the international expert workshop on “Deep Decarbonization in Industry” in Vienna in October. Finally, what are your wishes for 2019?